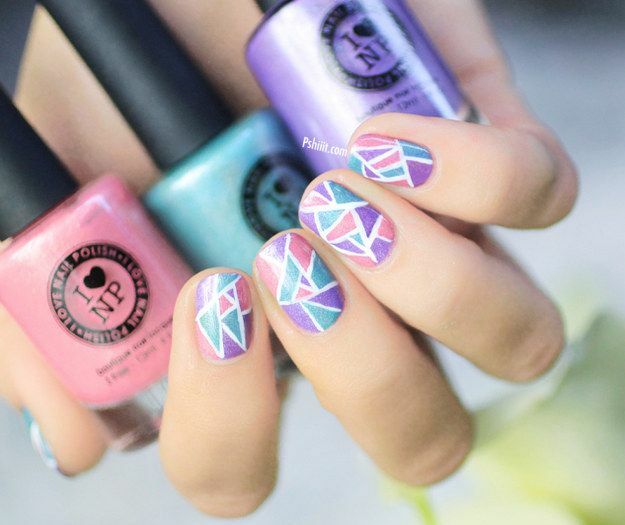 Pastels are definitely the colors of summer, and in this article I’m going to share with you some Cute And Inspiring Pastel Nail Design Ideas that might be of your interest. 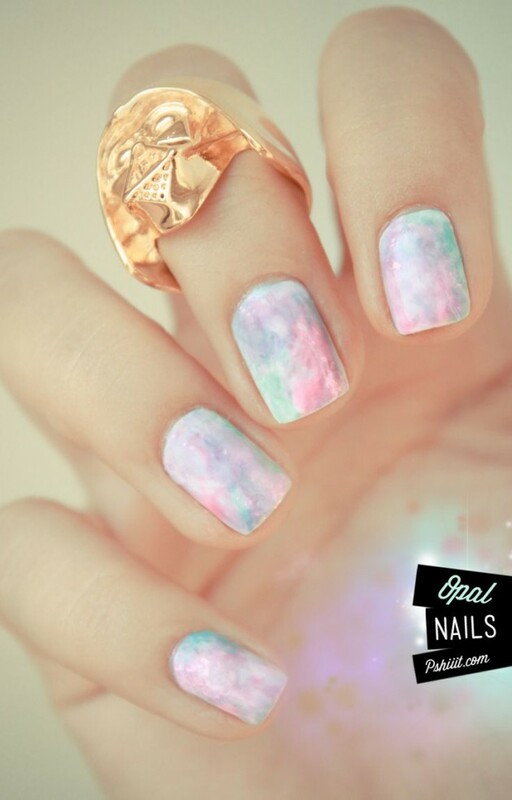 The pastel shades are so amazing, that they make great manicure ideas. The pastels are so fun to mix and match and do fun flowery and geometrical designs with. 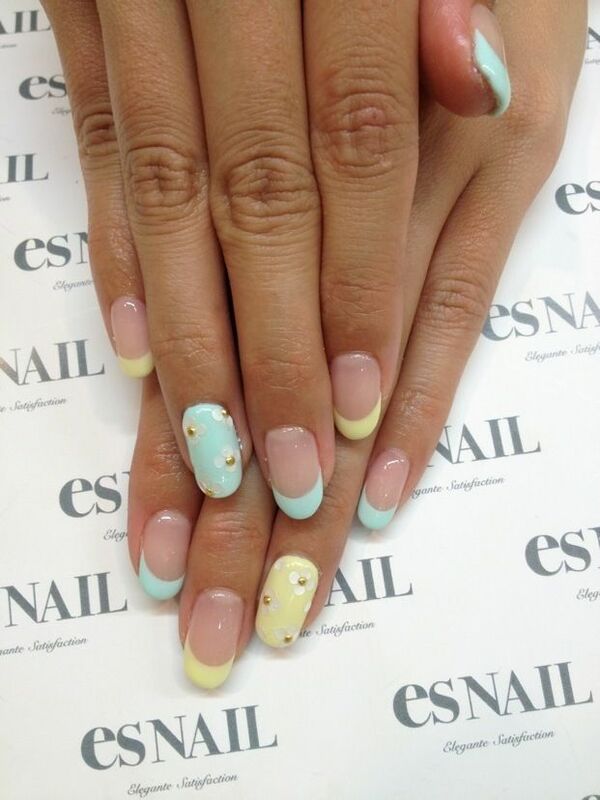 These nails are sure to get you in summer mode. Take a look through the gallery and comment on your fave! I’m sure that you will love more of the designs, and it will be hard for you to pick just one favorite. 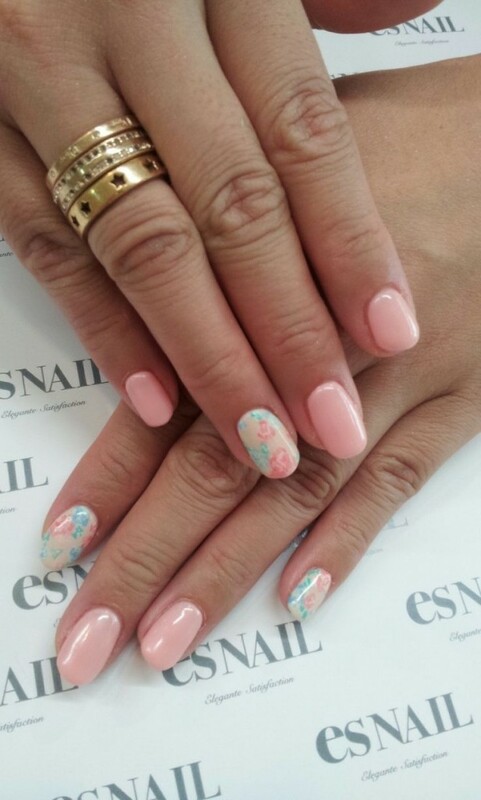 The other nail polished colors are not so fashion forward this season, so it’s the perfect time to put them behind, and take out the pastel ones. 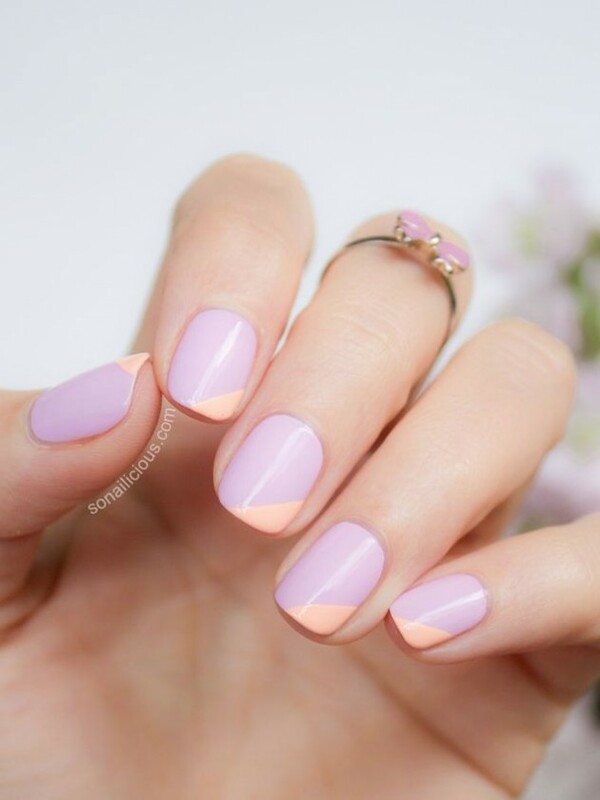 The pastel manicures are surprisingly easy to master. All you have to do is just to follow our ideas, find the one that you like the most, and recreate the look. There is nothing complicated about them, and even if you don’t have any special skills, you are bound to get them right. 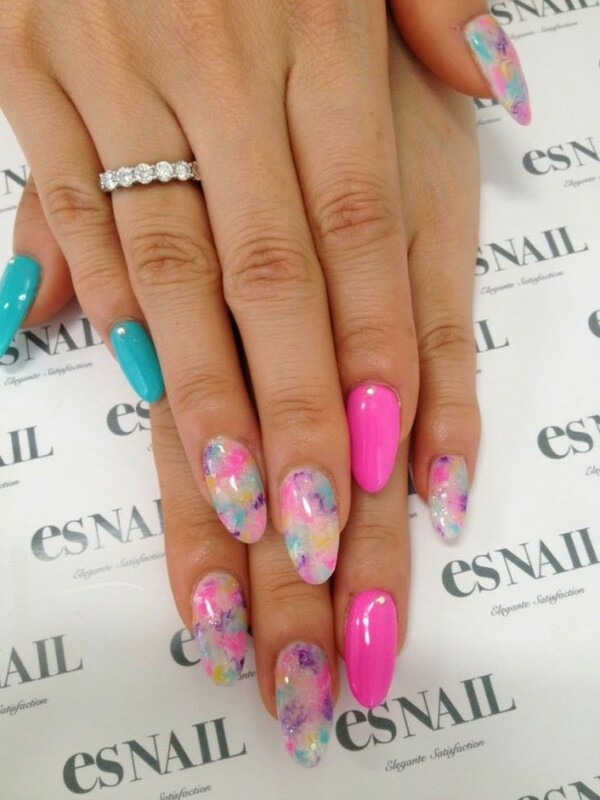 These nail designs are the perfect finish to your colorful summery outfits. Pastel colors are perfect for summer and you will find they work well with most outfits due to the softness of them. 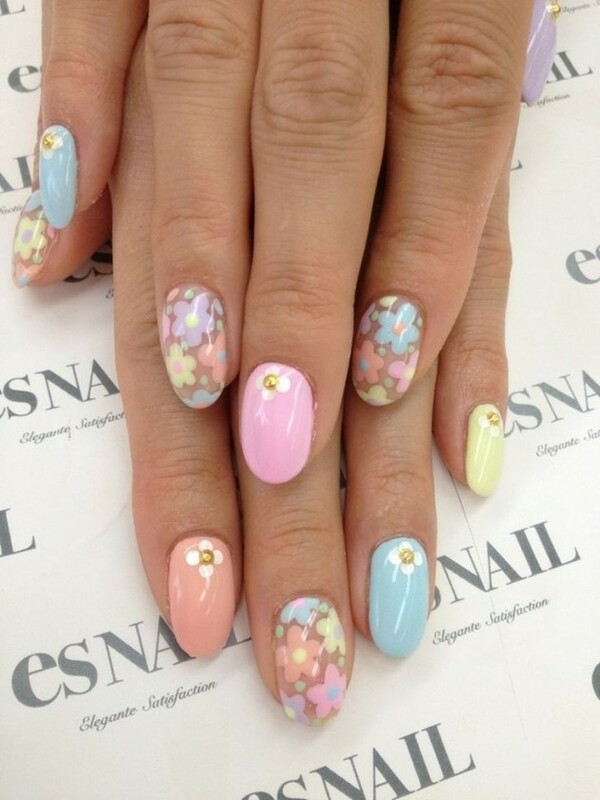 Keep on trend this summer by sporting nails in shades of pretty pastels such as minty green, baby blue and soft peach. 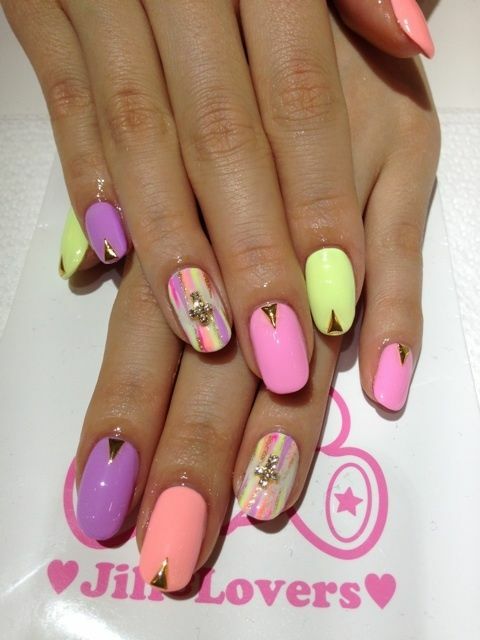 What’s great about the pastel shades is that they suit any skin color. 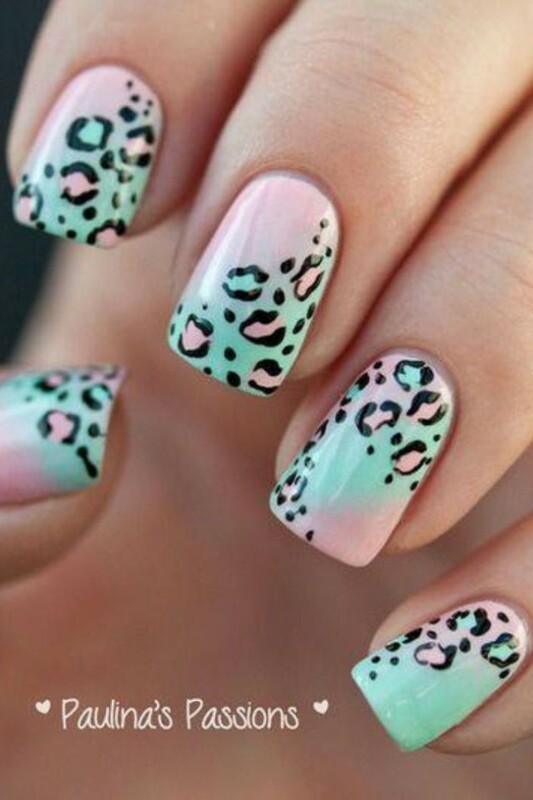 There so many different designs that you can try, so the look of your mani won’t be boring this summer! 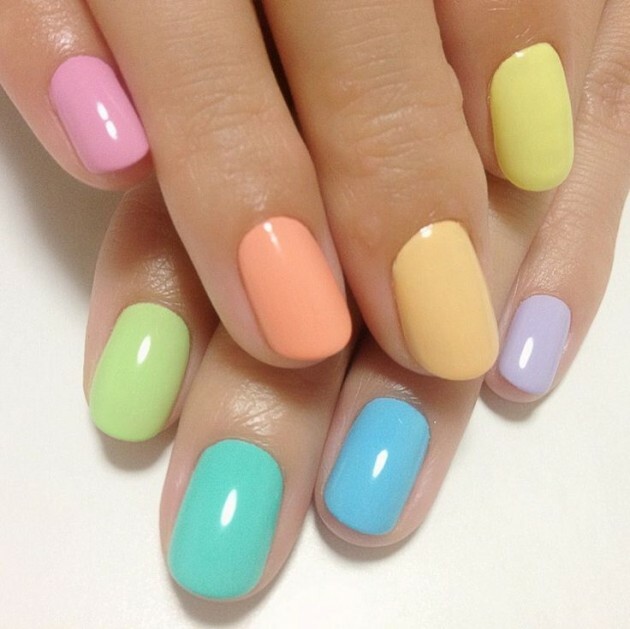 The pastel shades are perfect when they are mixed and matched, and applying different nail polish on each nail is an awesome idea. 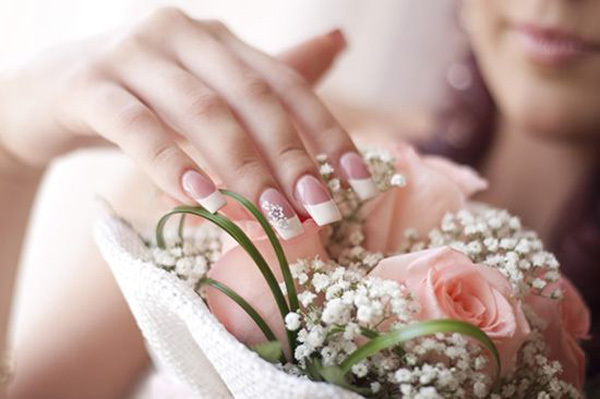 Your manicure will be interesting and fresh, and will match outfits with variety of colors. What do you think about this one? 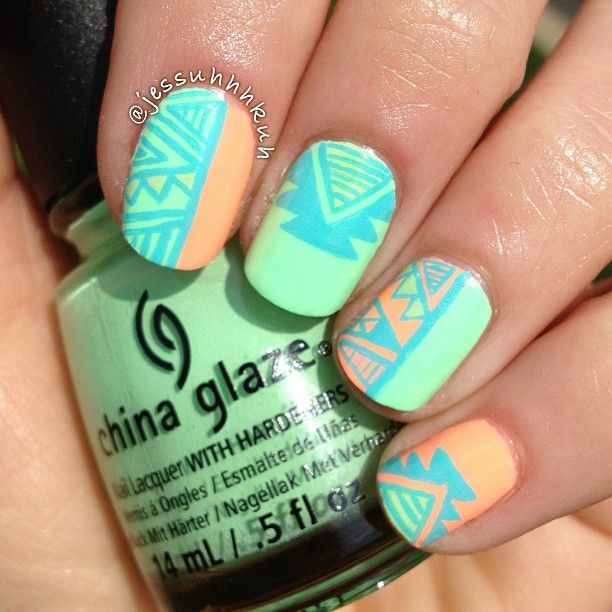 The aztec print is a fun print for summer. Choose the colors you like the best, and make some outstanding designs that will catch the attention of the people around you. 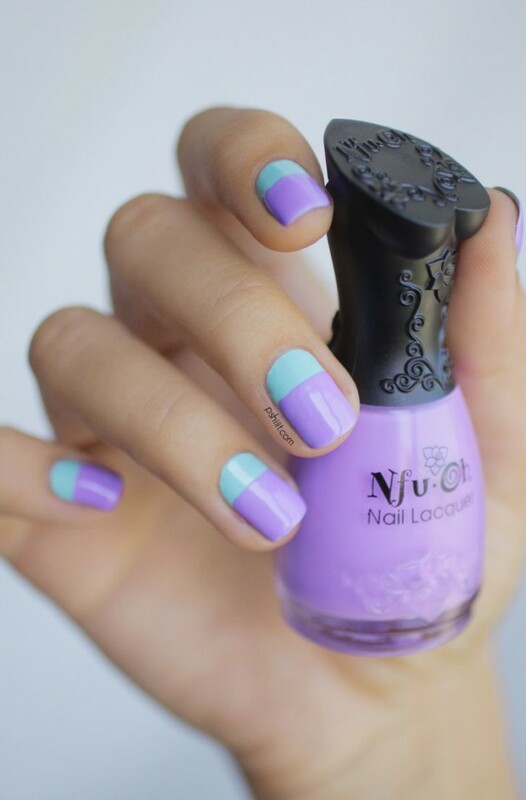 The color block design is perfect with the pastel shades. They make adorable designs. 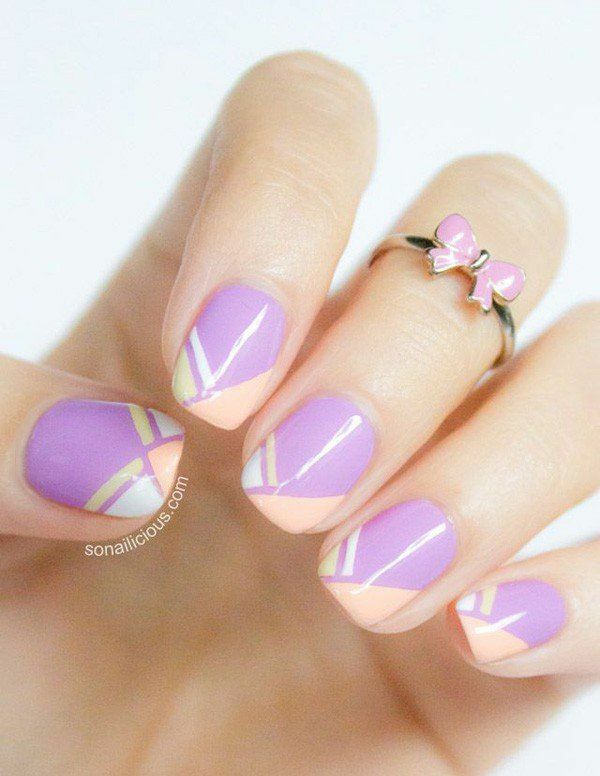 This may be the easiest nail art to achieve. You will be able to do it no time!